TV with Thinus: Glee seen on M-Net Series renewed in America for a 5th and a 6th season at the same time after lengthy negotiations. 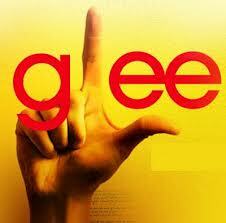 Glee seen on M-Net Series renewed in America for a 5th and a 6th season at the same time after lengthy negotiations. Glee, the fourth season of which is currently on M-Net Series (DStv 114) has been renewed in America for a 5th and a 6th season simultaneously, following lengthy negotiations. Glee received a rare two year renewal (its second such two year deal) with Kevin Reilly, the chairman of entertainment at Fox in America saying in a press statement announcing the renewal that "more than four years later, it continues to defy genres, break new ground and have a significant impact on popular culture." Creator and executive producer Ryan Murphy said he is "very grateful" for the incredible support and "also want to thank our loyal audience, whose passion and enthusiasm continue to amaze and inspire us." Glee is produced by Ryan Murphy Television and 20th Century Fox Television.